Have you recently moved into a new home or has somebody recently moved out of your current home or lost the house keys? 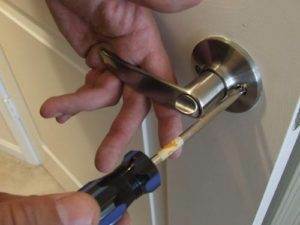 Then it is time to call a locksmith in Reno to have your locks changed. These types of situations will put your home in a security risk without performing a lock change. Anyone has the chance of waltzing into your home with a key that they might have found at your doorstep. Or maybe they lived there before and found they still possessed a spare key. Once a Reno locksmith finishes a lock change, no one with a previous key can gain access to your home. In fact, you will be given a brand new key to go with the brand new lock. Getting a new lock can definitely be seen as a positive opportunity to improve the style and the security of your family and home. Consider getting locks that provide high security features that will assist in preventing petty burglars from gaining entry to where they do not belong. There are locks that are resistant to harsh acts such as drilling and kicking too. There are a few different finishes on the lock and knob that you can choose from. Silver, brass and a dark brown color are very commonly used. If the lock that you are changing is for the front door, you will probably be installing a single deadbolt lock. A deadbolt provides good security is very common on residential homes in the US. Locks are based on a security grade from one up to three. Grade one locks will provide you the highest security that locks can offer, whereas a grade three lock is almost decorative. Remember when getting your lock changed that this is most likely a long term decision and provides you and your family security. The cost may seem high but the protection it will give you is well worth the price tag. 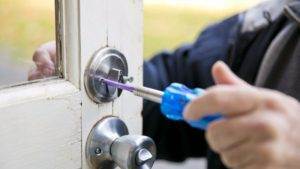 Depend upon a licensed, certified, bonded, and insured residential locksmith company to increase the security of your home. This entry was posted in Locksmith Tips and tagged key, lock, lock change, locksmith, locksmith reno, lost keys, reno, reno locksmith, residential locksmith. Bookmark the permalink.